ANNISTON, Ala. (October 26, 2016) – Blastcrete Equipment Company introduces a dust suppression system that limits silica dust exposure in industrial, construction and mining applications. 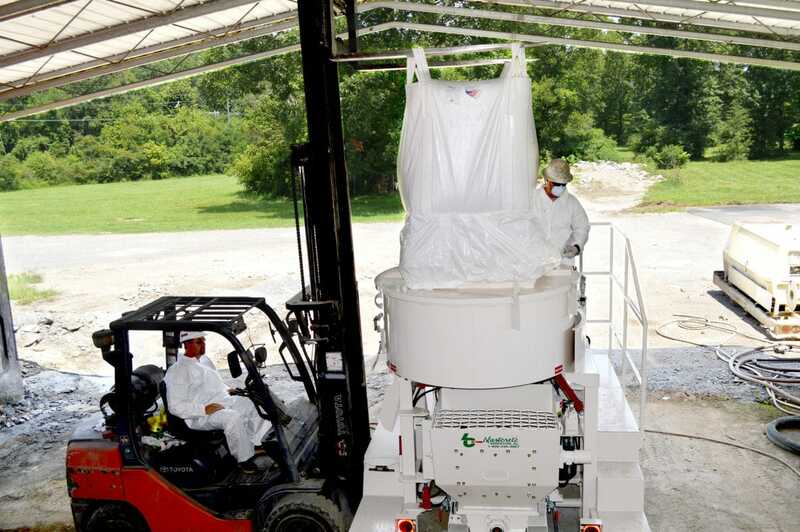 The patent-pending DustAway system consists of an innovative bulk bag design that attaches to a mixer to contain dust as the mixer fills. The bag’s dust ruffle encapsulates airborne particles, helping to control respirable dust. DustAway helps businesses meet new OSHA regulations for crystalline silica dust by controlling dust to within OSHA-permissible exposure limits, or PELs. Blastcrete has been manufacturing safe, reliable and user-friendly solutions for the refractory and shotcrete industries for more than 60 years. With a complete product line consisting of concrete mixers, pumps and related products, the company serves the commercial and residential construction, ICF and SCIP building systems, refractory and underground markets. More information: Blastcrete Equipment Company, 2000 Cobb Ave., Anniston, AL 36202; 800-235-4867; fax 256-236-9824; info@blastcrete.com; www.blastcrete.com.